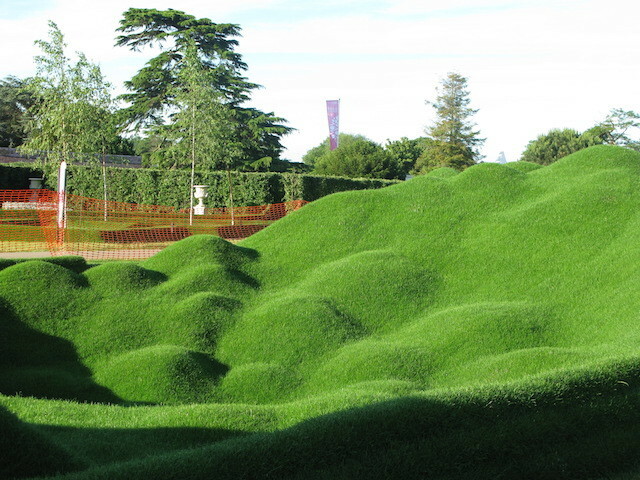 Celebrating its 25th anniversary, Hampton Court Palace Flower Show offers a luscious mix of fabulous show gardens, a heavenly floral marquee, giant time-travelling scarecrow, an anniversary maze and loads to learn, buy, see and do. Amid the rows of exotic beauty, lush landscaping and blooming bowers in this grand, historic setting is a more practical but just as inspiring exhibit — the Community Street — showpiece of the RHS Greening Grey Britain project. 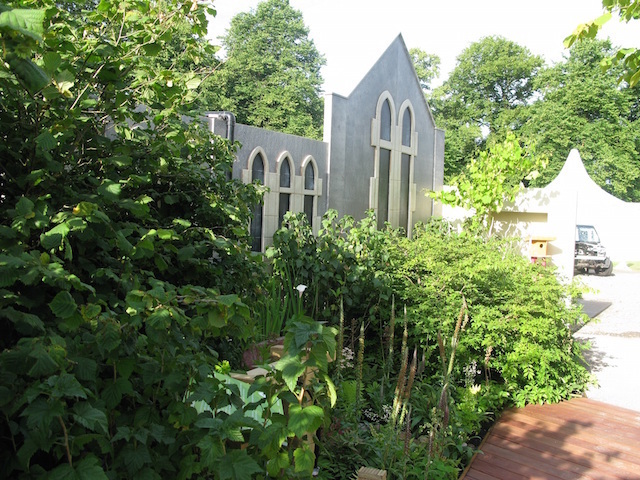 Created by Nigel Dunnett with help from the Landscape Agency, its a 60m2 version of the garden of St Mungo's in Bristol, currently a mass of grey gravel, transformed into a beautiful, practical and environmentally-clever garden. 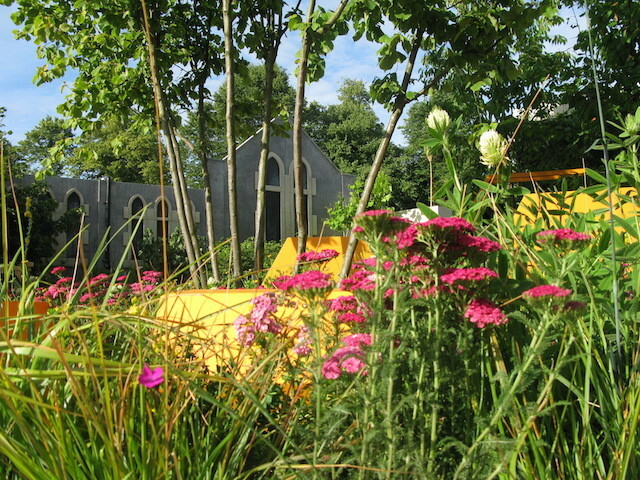 The installation aims to show how important gardening is to tackling climate change and how the hardest, bleakest space can be greened, not just to look and smell good, but to combat air pollution, assist drainage and mitigate flooding as well as being beneficial to mental and physical wellbeing. At a time when hard surfaces in London gardens are increasing by two and a half times the area of Hyde Park each year, it's ever more important that we green where can — in window boxes, patios, balconies and yards and protect green spaces wherever they are threatened. 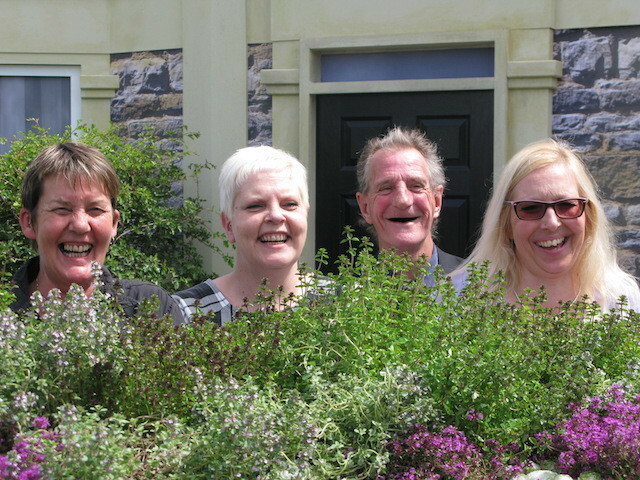 RHS Greening Grey Britain campaign aims to turn 6,000 grey spaces green. Find out how you can help and get involved at the RHS website. The RHS Hampton Court Palace Flower Show opens to the public 2-5 July. Tickets from £19.50 advance. All photos by Michael Barrett.